If you are familiar with this blog, you have likely read stories of athletes thriving in less than ideal environments. I have posted many examples over the years. And while each story is unique, there are common links that tie the athletes together. Whether it was boxers from Ghana or wrestlers from Dakar, I’ve highlighted numerous athletes who have thrived despite countless disadvantages. A few pictorial examples can be seen below. Each image links back to its original story. As you observe the images above, you will note similarities. Exercise equipment is essentially nonexistent. Those tools that the fitness industry markets as necessities are nowhere to be found. In many cases the gym is nothing but an open strip of land. 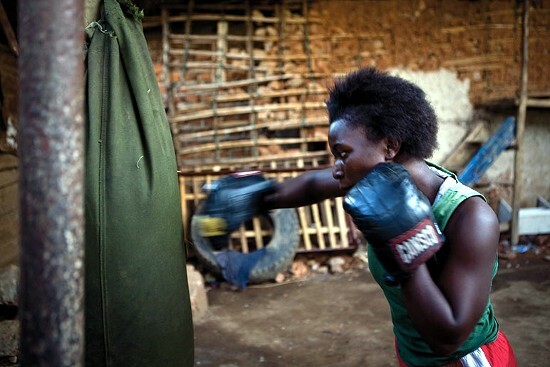 For example, the Rhino Boxing Club in Kampala is not a brick and mortar establishment, but rather a space between buildings within a crowded neighborhood. The boundaries are marked by hanging laundry. Another similarity between these athletes is that they lack access to the nutritional supplements so often consumed in other parts of the world. They also do not have the luxury of picking and choosing between the countless dietary plans that are marketed today. 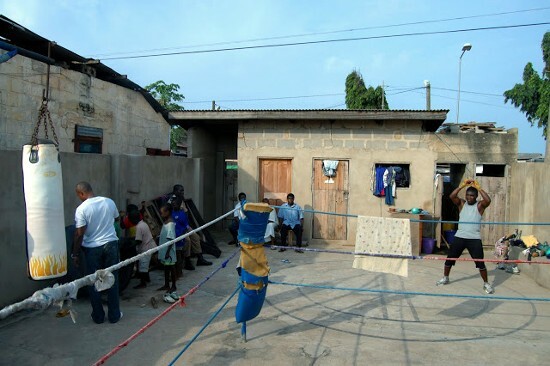 For instance, many boxers in Ghana are involved in the fishing industry. Such work doesn’t even guarantee a dollar a day. When you earn one dollar a day, you eat what you can, not what you want. Yet, despite training with almost nothing and eating what little they could afford, several dominant athletes have come from these lands. Their success in many ways is a direct slap in the face to the fitness industry. These athletes didn’t rely on the tools, programs, and supplements that you’ve been told you need. How can it be? What really matters? The answer to these questions is quite simple. The athletes who’ve thrived in these harsh lands had something greater than any tool or supplement. They were hungry to succeed. 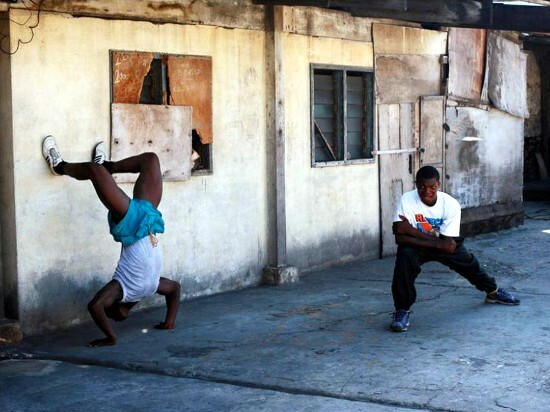 They trained with dreams of bettering their lives and the lives of their loved ones. And it is that type of dedication, commitment, and desire that trumps everything. Unfortunately, these internal qualities do not receive nearly enough attention. Why would they? The supplement store cannot sell you a month’s supply of hard work and dedication. Those attributes are not for sale. What’s popular in the fitness industry is whatever can earn someone from somewhere some money. Trends are based on revenue potential. They start from the top and trickle their way down. Marketing dollars won’t be wasted on convincing you to work hard. The fitness powers that be would rather sell you on the idea of using their equipment, programs, and supplements. Money makes the world go around. Meanwhile, athletes in the different parts of the world continue to go against everything we’ve been told. Observing them in action offers plenty in return. These athletes aren’t trying to sell you anything. They are only trying to survive and thrive. There is no deception. It’s just hard work. The take home lesson from this brief entry should be easily recognized. I’m not suggesting that you throw away your equipment and live in poverty. Do however recognize that the word need is grossly overused in the fitness industry. Don’t be misled to believe that you need a particular tool, certification, or program. Instead, recognize the significance of diligence, perseverance, and consistency. Understand that these attributes come from within and are available to us all. You don’t need to live in Uganda to want to succeed as bad as someone from Uganda. We all have equal rights in terms of how bad we want it. If you truly want something, go get it. Whatever excuse you’ve convinced yourself to believe would be laughed at by those from these poverty-stricken lands. Despite what you may read online or in a popular fitness magazine, almost anything works if you are willing to work. Regardless of what you have access to, you have more than enough to improve. Don’t let the fitness hucksters of the world convince you otherwise. Observation of the athletes above is all the proof you will ever need. About 1 year ago I sold all those equipment I did not use twice a week. I couldn’t have done anything better! I’m more focused since that day. And I think that’s the reason why I’m getting better result now. I have nothing to add except “really great post.” Your blog continues to be an inspiration and a reminder of priorities. Thank you. People who are determined overcome all obstacles- these people are amazing, it is humbling to witness. Hi Ross, a great post from you that speaks the truth that a majority of the fitness industry don’t want us to hear. It is great to see a like minded person just telling it like it is, really enjoy your posts and blogs and as always find you an inspiration, keep up the great work. Awesome post Ross, thanks for being real. In many ways marketers in the fitness industry inhibit true growth, because they often promote a “easy” way of training, if we’ll only buy their revolutionary product. Even something as simple and effective as the barbell is not necessarily the best way to train for strength. I was thinking about that recently, for example; how often do I have to lift an object similar in shape and size to a barbell? Almost never, it’s almost always an awkward, unsymmetrical object, or my own body weight! Yet many people train like they are preparing for a barbell competition they will never compete it, thinking that it is the ultimate in strength training. Another Great post, this just proves that it doesn’t matter what you have or were you are. All that matters is having the drive and determination to keep pushing forward. Awesome Stuff!! When we had the same tour of duty myself and a friend who is a bjj black would meet up in the basement of his precinct (we are both cops) at 5am and with a single light bulb overhead would train our bjj in the dirty basement on a mat as thin as a paper plate. Great fun. People at the top of their game always say that “less is more”, and the examples used in this articles are perfect. 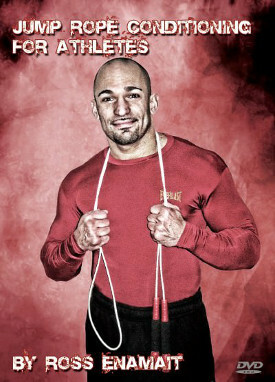 I think the most important thing in anyones training isnt their equipment, but their desire. Before i lost 30 pounds, i never really wanted it bad enough. Then one day i woke up and i was fed up. I decided i didnt care what it took, i was going to be happy with myself. These photo’s are inspirational. Making the best of what they have around them. Their motivation must be incredible. Getting in shape no matter what and no damn supplements or glossy mags either! Hi,Ross , thank you for your article. As a medical professional I can say the same about medical industry. There are few truly scientific areas in our business and most often, the marketing department decides the patients prospectives to be cured. They distract the public attention by making things complicate, e x the modern society killer decease are easily treated by healthy food without any fake supplement, instead, overpriced chemistry and surgery are offered. In Fact in poor countries the population is more healthy in general. I totally switched to body weigh training by myself…. Great article Ross, keep up the amazing work. Great post! This just proves that there are no excuses. Inspiring. Wondering if you could answer me this via my email. at the present moment. Time to reclaim myself. Much appreciate some words of wisdom from you. I live in Romania, and i believe what i see in those pictures. there was a man sleeping on the ground . that is true. because i also sleep on the ground in my house because i dont have a bed anymore for some years. and i still train and look in shape/ feel good( i practiced martial arts). romanians are not that poor, but my father died when i was 14. in a few months i will be no longer a student and after finding a job i will buy myself a bed. I can make a generalization from when I was teaching Tae Kwon Do. The amount of work put into learning and perfecting was in inverse relationship to the family income. Always exceptions. What a great article. Almost everything works… As long as YOU work. Just brilliant. The images are visceral and real. They showcase true grit and hunger in the face of tremendous odds. Simply goes to show that all you need is the fire in your belly. We who are the “haves” have everything going for us but a lot of the time miss out on that key ingredient which is the stuff of champions. Thank you so much for this article and reminder.